Várias são as ameaças, naturais ou de origem antrópica, que têm provocado alterações nos habitats ocupados pelas espécies que compõem a biota local. Essas ameaças podem ser simuladas através de construção de cenários futuros visando estimar seus impactos e, assim, analisar suas possíveis consequências. Tais cenários têm sido construídos a partir de aplicações de modelagem de distribuição geográfica, uma técnica que analisa as características atuais das áreas de ocorrência e projeta essas características em cenários diferentes. Essa técnica pode ser aplicada para analisar os efeitos das alterações sobre os polinizadores e as plantas que eles visitam. There are several threats that are provoking changings on the habitats occupied by the local biota species. These threats can be simulated through scenarios building that aim to evaluate their impact, and so, analyze the possible consequences. Such scenarios have been built from applications of geographic distribution modeling, a technique that analyzes the current characteristics of occurrence areas and projects these characteristics on different scenarios. This technique can be applied to analyze the effects of these changes on pollinators and plants visited by them. ARAÚJO, M.; LUOTO, M. The importance of biotic interactions for modelling species distributions under climate change. Global Ecology and Biogeography, v. 16, n. 6, p. 743-753, 2007. ARAÚJO, M.; WILLIAMS, P. Selecting areas for species persistence using occurrence data. Biological Conservation, v. 96, n. 3, p. 331-345, 2000. AUSTIN, M. Role of regression analysis in plant ecology. The Proceedings of the Ecological Society of Australia, v. 6, p. 63-75, 1971. ______. An ecological perspective on biodiversity investigations: examples from Australian eucalypt forests. Annals of the Missouri Botanical Garden, v. 85, n. 1, p. 2-17, 1998. ______. Species distribution models and ecological theory: a critical assessment and some possible new approaches. Ecological Modelling, v. 200, n. 1-2, p. 1-19, 2007. BOJÓRQUEZ-TAPIA, L.; AZUARA, I.; EZCURRA, E.; FLORES-VILLELA, O. Identifying conservation priorities in Mexico through geographic information systems and modeling. Ecological Applications, v. 5, n. 1, p. 215-231, 1995. BOURG, N.; MCSHEA, W.; GILL, D. Putting a CART before the search: successful habitat prediction for a rare forest herb. Ecology, v. 86, n. 10, p. 2793-2804, 2005. BUERMANN, W.; CHAVES, J. A.; DUDLEY, R.; MCGUIRE, J. A.; SMITH, T. B.; ALTSHULER, D. L. Projected changes in elevational distribution and flight performance of montane Neotropical hummingbirds in response to climate change. Global Change Biology, no prelo. CANHOS, V.; SOUZA, S.; GIOVANNI, R.; CANHOS, D. Global biodiversity informatics: setting the scene for a ‘new world’of ecological modeling. Biodiversity Informatics, v. 1, n. 2004, p. 1-13, 2004. CHAPMAN, D.; OXFORD, G.; DYTHAM, C. Process from pattern in the distribution of an endangered leaf beetle. Ecography, v. 32, n. 2, p. 259-268, 2009. DAHDOUH-GUEBAS, F.; VAN HIEL, E.; CHAN, J.; JAYATISSA, L.; KOEDAM, N. Qualitative distinction of congeneric and introgressive mangrove species in mixed patchy forest assemblages using high spatial resolution remotely sensed imagery (IKONOS). Systematics and Biodiversity, v. 2, n. 2, p. 113-119, 2004. DE MARCO, P.; DINIZ-FILHO, J.; BINI, L. Spatial analysis improves species distribution modelling during range expansion. Biology Letters, v. 4, n. 5, p. 577-580, 2008. DINIZ-FILHO, J.; BINI, L. Modelling geographical patterns in species richness using eigenvector-based spatial filters. Global Ecology and Biogeography, v. 14, n. 2, p. 177-185, 2005. DINIZ-FILHO, J.; FERRO, V.; SANTOS, T.; NABOUT, J.; DOBROVOLSKI, R.; DE MARCO JR, P. The three phases of the ensemble forecasting of niche models: geographic range and shifts in climatically suitable areas of Utetheisa ornatrix (Lepidoptera, Arctiidae). 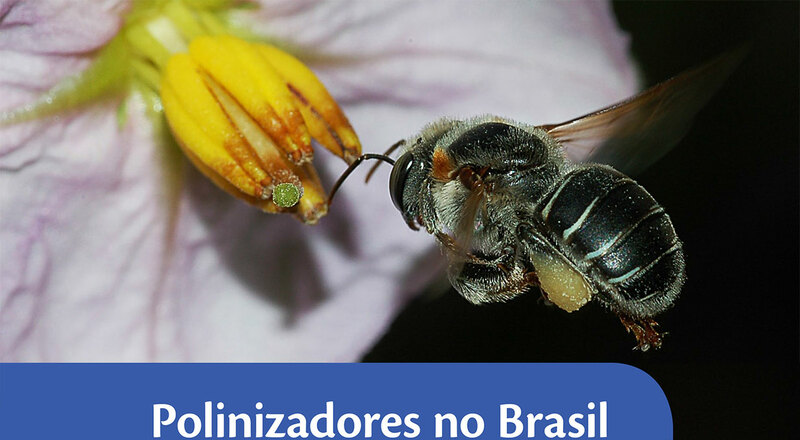 Revista Brasileira de Entomologia, v. 54, p. 339-349, 2010a. DINIZ-FILHO, J.; MAURICIO BINI, L.; FERNANDO RANGEL, T.; LOYOLA, R.; HOF, C.; NOGUÉS BRAVO, D.; ARAÚJO, M. Partitioning and mapping uncertainties in ensembles of forecasts of species turnover under climate change. Ecography, v. 32, n. 6, p. 897-906, 2009a. DINIZ-FILHO, J.; NABOUT, J.; BINI, L.; LOYOLA, R.; RANGEL, T.; NOGUES-BRAVO, D.; ARAÚJO, M. Ensemble forecasting shifts in climatically suitable areas for Tropidacris cristata (Orthoptera: Acridoidea: Romaleidae). Insect Conservation and Diversity, v. 3, p. 213-221, 2010b. DINIZ-FILHO, J.; NABOUT, J.; BINI, L.; SOARES, T.; DE CAMPOS TELLES, M.; DE MARCO, P.; COLLEVATTI, R. Niche modelling and landscape genetics of Caryocar brasiliense (“Pequi” tree: Caryocaraceae) in Brazilian Cerrado: an integrative approach for evaluating central-peripheral population patterns. Tree Genetics & Genomes, v. 5, n. 4, p. 617-627, 2009b. ELITH, J.; GRAHAM, C. Do they? How do they? Why do they differ? On finding reasons for differing performances of species distribution models. Ecography, v. 32, n. 1, p. 66-77, 2009. ELITH, J.; LEATHWICK, J. Species distribution models: ecological explanation and prediction across space and time. Annual Review of Ecology, Evolution, and Systematics, v. 40, p. 677-697, 2009. ENGLER, R.; GUISAN, A.; RECHSTEINER, L. An improved approach for predicting the distribution of rare and endangered species from occurrence and pseudo absence data. Journal of Applied Ecology, v. 41, n. 2, p. 263-274, 2004. FRANKLIN, J. Predictive vegetation mapping: geographic modelling of biospatial patterns in relation to environmental gradients. Progress in Physical Geography, v. 19, n. 4, p. 474-499, 1995. ______. Mapping species distribution. Spatial inference and prediction. New York: Cambridge Press, 2009. GENINI, J.; MORELLATO, L.; GUIMARÃES, P.; OLESEN, J. Cheaters in mutualism networks. Biology Letters, v. 6, n. 4, p. 494-497, 2010. GILLESPIE, T.; FOODY, G.; ROCCHINI, D.; GIORGI, A.; SAATCHI, S. Measuring and modelling biodiversity from space. Progress in Physical Geography, v. 32, n. 2, p. 203-221, 2008. GRAHAM, C.; FERRIER, S.; HUETTMAN, F.; MORITZ, C.; PETERSON, A. New developments in museum-based informatics and applications in biodiversity analysis. Trends in Ecology & Evolution, v. 19, n. 9, p. 497-503, 2004. GUISAN, A.; THUILLER, W. Predicting species distribution: offering more than simple habitat models. Ecology Letters, v. 8, n. 9, p. 993-1009, 2005. HEGLAND, S.; NIELSEN, A.; LÁZARO, A.; BJERKNES, A.; TOTLAND, Ø. 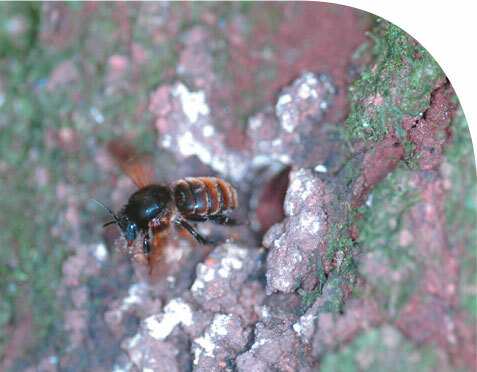 How does climate warming affect plant pollinator interactions? Ecology Letters, v. 12, n. 2, p. 184-195, 2009a. HEGLAND, S. J.; NIELSEN, A.; LAZARO, A.; BJERKNES, A. L.; TOTLAND, O. How does climate warming affect plant-pollinator interactions? Ecology Letters, v. 12, n. 2, p. 184-195, 2009b. HIRZEL, A.; POSSE, B.; OGGIER, P.; CRETTENAND, Y.; GLENZ, C.; ARLETTAZ, R. Ecological requirements of reintroduced species and the implications for release policy: the case of the bearded vulture. Journal of Applied Ecology, v. 41, n. 6, p. 1103-1116, 2004. HORTAL, J.; JIMÉNEZ-VALVERDE, A.; GÓMEZ, J.; LOBO, J.; BASELGA, A. Historical bias in biodiversity inventories affects the observed environmental niche of the species. Oikos, v. 117, n. 6, p. 847-858, 2008. HORTAL, J.; ROURA PASCUAL, N.; SANDERS, N.; RAHBEK, C. Understanding (insect) species distributions across spatial scales. Ecography, v. 33, n. 1, p. 51-53, 2010. HULME, P. Contrasting impacts of climate driven flowering phenology on changes in alien and native plant species distributions. New Phytologist, v. 189, p. 272-281, 2011. HUTCHINSON, G. Concluding remarks. Cold Spring Harbour Symposium on Quantitative Biology v. 22, p. 415-427, 1957. IVERSON, L.; PRASAD, A.; MATTHEWS, S.; PETERS, M. Estimating potential habitat for 134 eastern US tree species under six climate scenarios. Forest Ecology and Management, v. 254, n. 3, p. 390-406, 2008. KEARNEY, M.; PORTER, W. Mechanistic niche modelling: combining physiological and spatial data to predict species’ ranges. Ecology Letters, v. 12, n. 4, p. 334-350, 2009. KREMEN, C. et al. Aligning conservation priorities across taxa in Madagascar with high-resolution planning tools. Science, v. 320, n. 5873, p. 222-226, 2008. LAHOZ-MONFORT, J.; GUILLERA ARROITA, G.; MILNER GULLAND, E.; YOUNG, R.; NICHOLSON, E. Satellite imagery as a single source of predictor variables for habitat suitability modelling: how Landsat can inform the conservation of a critically endangered lemur. Journal of Applied Ecology, v. 47, p. 1094-1102, 2010. LAY, G.; ENGLER, R.; FRANC, E.; GUISAN, A. Prospective sampling based on model ensembles improves the detection of rare species. Ecography, v. 33, p. 1015-1027, 2010. LOBO, J. Database records as a surrogate for sampling effort provide higher species richness estimations. Biodiversity and Conservation, v. 17, n. 4, p. 873-881, 2008. LOBO, J.; JIMÉNEZ-VALVERDE, A.; REAL, R. AUC: a misleading measure of the performance of predictive distribution models. Global Ecology and Biogeography, v. 17, n. 2, p. 145-151, 2008. LOISELLE, B.; GRAHAM, C.; GOERCK, J.; RIBEIRO, M. Assessing the impact of deforestation and climate change on the range size and environmental niche of bird species in the Atlantic forests, Brazil. Journal of Biogeography, v. 37, n. 7, p. 1288-1301, 2010. MARGULES, C.; AUSTIN, M. Nature conservation: cost effective biological surveys and data analysis. Canberra: CSIROralia, 1991. MARINI, M. A.; BARBET-MASSIN, M.; LOPES, L. E.; JIGUET, F. Major current and future gaps of Brazilian reserves to protect Neotropical savanna birds more options. Biological Conservation, v. 142, n. 12, p. 3039-3050, 2009. MARTÍNEZ-MEYER, E.; PETERSON, A.; SERVÍN, J.; KIFF, L. Ecological niche modelling and prioritizing areas for species reintroductions. Oryx, v. 40, n. 4, p. 411-418, 2006. MCPHERSON, J.; JETZ, W.; ROGERS, D. The effects of species’ range sizes on the accuracy of distribution models: ecological phenomenon or statistical artefact? Journal of Applied Ecology, v. 41, n. 5, p. 811-823, 2004. MEIER, E.; EDWARDS JR, T.; KIENAST, F.; DOBBERTIN, M.; ZIMMERMANN, N. Co-occurrence patterns of trees along macro climatic gradients and their potential influence on the present and future distribution of Fagus sylvatica L. Journal of Biogeography, no prelo. MELBOURNE, B.; DAVIES, K.; MARGULES, C.; LINDENMAYER, D.; SAUNDERS, D.; WISSEL, C.; HENLE, K. Species survival in fragmented landscapes: where to from here? Biodiversity and Conservation, v. 13, n. 1, p. 275-284, 2004. MEMMOTT, J.; CARVELL, C.; PYWELL, R.; CRAZE, P. The potential impact of global warming on the efficacy of field margins sown for the conservation of bumble-bees. Philosophical Transactions of the Royal Society B: Biological Sciences, v. 365, n. 1549, p. 2071-2079, 2010. MEMMOTT, J.; CRAZE, P. G.; WASER, N. M.; PRICE, M. V. Global warming and the disruption of plant-pollinator interactions. Ecology Letters, v. 10, n. 8, p. 710-717, 2007. NIX, H.; MCMAHON, J.; MACKENZIE, D. Potential areas of production and the future of pigeon pea and other grain legumes in Australia. In: WALLIS, E. S.; WHITEMAN, P. C. (Ed.). The potential for pigeon pea in Australia. Proceedings of Pigeon Pea (Cajanus cajan (L.) Millsp.) Field Day. Queensland: Field Day University of Queensland, 1977. p. 1-12. PETERSON, A. Uses and requirements of ecological niche models and related distributional models. Biodiversity Informatics, v. 3, p. 59-72, 2006. PETERSON, A.; PAPES, M.; SOBERÓN, J. Rethinking receiver operating characteristic analysis applications in ecological niche modeling. Ecological Modelling, v. 213, n. 1, p. 63-72, 2008. PETERSON, A.; VIEGLAIS, D. Predicting species invasions using ecological niche modeling: new approaches from bioinformatics attack a pressing problem. Bioscience, v. 51, n. 5, p. 363-371, 2001. PHILLIPS, S. Transferability, sample selection bias and background data in presence only modelling: a response to Peterson et al. (2007). Ecography, v. 31, n. 2, p. 272-278, 2008. PULLIAM, H. On the relationship between niche and distribution. Ecology Letters, v. 3, n. 4, p. 349-361, 2000. RAXWORTHY, C.; MARTINEZ-MEYER, E.; HORNING, N.; NUSSBAUM, R.; SCHNEIDER, G.; ORTEGA-HUERTA, M.; PETERSON, A. Predicting distributions of known and unknown reptile species in Madagascar. Nature, v. 426, n. 6968, p. 837-841, 2003. RICHARDSON, D.; THUILLER, W. Home away from home - objective mapping of high risk source areas for plant introductions. Diversity and Distributions, v. 13, n. 3, p. 299-312, 2007. SANTANA, F. S.; SARAIVA, A. M. Challenges in ecological niche modeling. In: XVIIth World Congress of the International Commission of Agricultural and Biosystems Engineering (CIGR), Québec. Symposium. 2010. p. 1-10. SCHELLER, R.; VAN TUYL, S.; CLARK, K.; HAYDEN, N.; HOM, J.; MLADENOFF, D. Simulation of forest change in the New Jersey Pine Barrens under current and pre-colonial conditions. Forest Ecology and Management, v. 255, n. 5-6, p. 1489-1500, 2008. SCHWEIGER, O.; SETTELE, J.; KUDRNA, O.; KLOTZ, S.; KÜHN, I. Climate change can cause spatial mismatch of trophically interacting species. Ecology, v. 89, p. 3472-3479, 2008. SOBERÓN, J. Niche and area of distribution modeling: a population ecology perspective. Ecography, v. 33, n. 1, p. 159-167, 2010. SOBERÓN, J.; NAKAMURA, M. Niches and distributional areas: Concepts, methods, and assumptions. Proceedings of the National Academy of Sciences, v. 106, n. Supplement 2, p. 19644-19650, 2009. STRALBERG, D.; JONGSOMJIT, D.; HOWELL, C.; SNYDER, M.; ALEXANDER, J.; WIENS, J.; ROOT, T. Re-shuffling of species with climate disruption: a no-analog future for California birds. PLoS One, v. 4, n. 9, p. 1-8, 2009. STRUVE, J. et al. Lost in space? Searching for directions in the spatial modelling of individuals, populations and species ranges. Biology Letters, v. 6, p. 575-578, 2010. TAUBMANN, J.; THEISSINGER, K.; FELDHEIM, K.; LAUBE, I.; GRAF, W.; HAASE, P.; JOHANNESEN, J.; PAULS, S. Modelling range shifts and assessing genetic diversity distribution of the montane aquatic mayfly Ameletus inopinatus in Europe under climate change scenarios. Conservation Genetics, no prelo. THOMAS, C. et al. Extinction risk from climate change. Nature, v. 427, n. 6970, p. 145-148, 2004. THOMPSON, J. N. The geographic mosaic of coevolution. Chicago: University Chicago Press, 2005. THORN, J.; NIJMAN, V.; SMITH, D.; NEKARIS, K. Ecological niche modelling as a technique for assessing threats and setting conservation priorities for Asian slow lorises (Primates: Nycticebus). Diversity and Distributions, v. 15, n. 2, p. 289-298, 2009. THUILLER, W.; LAFOURCADE, B.; ENGLER, R.; ARAUJO, M. B. BIOMOD - a platform for ensemble forecasting of species distributions. Ecography, v. 32, n. 3, p. 369-373, 2009. TURNER, W.; SPECTOR, S.; GARDINER, N.; FLADELAND, M.; STERLING, E.; STEININGER, M. Remote sensing for biodiversity science and conservation. Trends in Ecology & Evolution, v. 18, n. 6, p. 306-314, 2003. TYLIANAKIS, J.; DIDHAM, R.; BASCOMPTE, J.; WARDLE, D. Global change and species interactions in terrestrial ecosystems. Ecology Letters, v. 11, n. 12, p. 1351-1363, 2008. VAN DER PUTTEN, W.; MACEL, M.; VISSER, M. Predicting species distribution and abundance responses to climate change: why it is essential to include biotic interactions across trophic levels. Philosophical Transactions of the Royal Society B: Biological Sciences, v. 365, n. 1549, p. 2025-2034, 2010. VERNER, J.; MORRISON, M.; RALPH, C.; FOREST, P. Wildlife 2000: modeling habitat relationships of terrestrial vertebrates. Madison: University of Wisconsin Press, 1986. VICENTE, J.; ALVES, P.; RANDIN, C.; GUISAN, A.; HONRADO, J. What drives invasibility? A multi model inference test and spatial modelling of alien plant species richness patterns in northern Portugal. Ecography, v. 33, n. 6, p. 1081-1092, 2010. WANG, L.; SOUSA, W.; GONG, P.; BIGING, G. Comparison of IKONOS and QuickBird images for mapping mangrove species on the Caribbean coast of Panama. Remote Sensing of Environment, v. 91, n. 3-4, p. 432-440, 2004. ZIMMERMANN, N.; EDWARDS JR, T.; GRAHAM, C.; PEARMAN, P.; SVENNING, J. New trends in species distribution modelling. Ecography, v. 33, n. 6, p. 985-989, 2010.